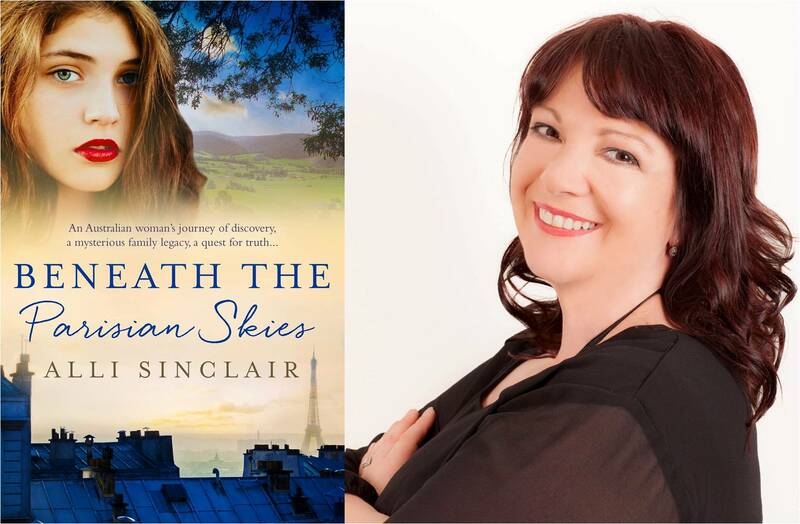 AUTHOR OF THE MONTH for July is adventurer Alli Sinclair. Though Aussie born, Alli spent her early adult years travelling the globe: scaling mountains in Nepal, Argentina, and Peru, rafting the Ganges, and riding a camel in the Sahara. She lived in Argentina and Peru and it was there her love of dance bloomed. When she wasn’t working as a tour guide, Alli could be found in the dance halls dancing the tango, salsa, merengue, and samba. In 2016, Alli took out the Best Established Author title in our AusRom Today Reader’s Choice Awards and in 2014 earned the coveted AusRom Today Reader’s Choice Award for Book of the Year with her novel Luna Tango. Alli’s love of travel shines through each novel and her latest novel Beneath the Parisian Skies is no exception. Also available for free download at the moment, is the prequel to Beneath the Parisian Skies, Parisian Dreams. with talented composer Yves Rousseau. A free prequel novella to Beneath The Parisian Skies. When Australian Lily Johansson earns the opportunity to dance for the prestigious Bohème Ballet in Paris, she fulfils a lifelong dream and continues a family legacy — but it comes at a cost. While Lily falls in love with the City of Light and her professional life catapults her into fame, her personal life suffers as the relationship with her fiancé deteriorates. On a stormy night, an argument sends Lily racing across the road and a speeding car tragically changes her life forever. Lily’s heart, once full of love and hope, is smashed to pieces and her career crumbles into a hopeless mess. Stumbling into a solitary future she’d never planned, Lily must learn to live with the grief of losing the man she loved and find her way in an unfamiliar world.